Drive through the beautiful town of Boulder. Visit Estes Park, the Stanley Hotel and the Rocky Mountain National Park. 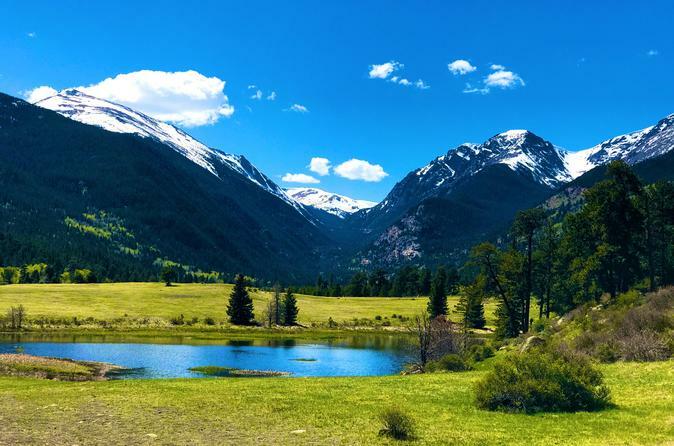 Join us on a magnificent day tour of the Rocky Mountain National Park. See the continental divide (summer tour only), the most prominent hydrological division and the world’s largest mountain barrier. We will take you to the “top of the world” in the park, filled spectacular vistas. Experience the great outdoors and nature by walking along beautiful trails and watching the wildlife in its natural habitat. The Rocky Mountains are considered to be one of the most majestic and breathtaking sights to behold in our country. On this tour, you be witness to once in a lifetime wildlife sightings, soaring mountain peaks, and come to understand the true meaning of “Purple Mountain Majesties”. We will stop at the Alpine Visitors Center (summer tour only), which features extraordinary views of alpine tundra and full river cirque. You’ll also have the chance to take in some local history about our beautiful state, and grab a snack and souvenir. This park is full of more wildlife and breathtaking views than most people see in an entire lifetime. Note: tour may be modified due to the weather and road closures.